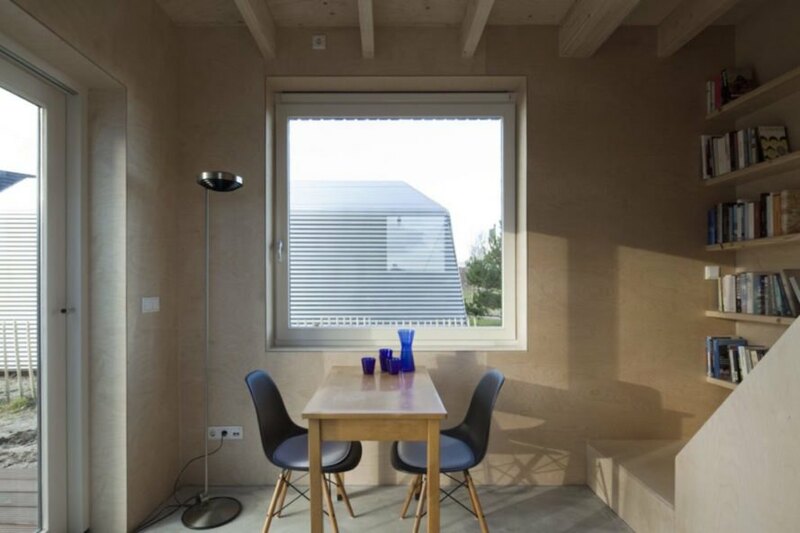 Space-saving furniture and ample glazing are key in making this skinny timber house welcoming and livable despite its tiny footprint – which is slightly larger than the average parking space. 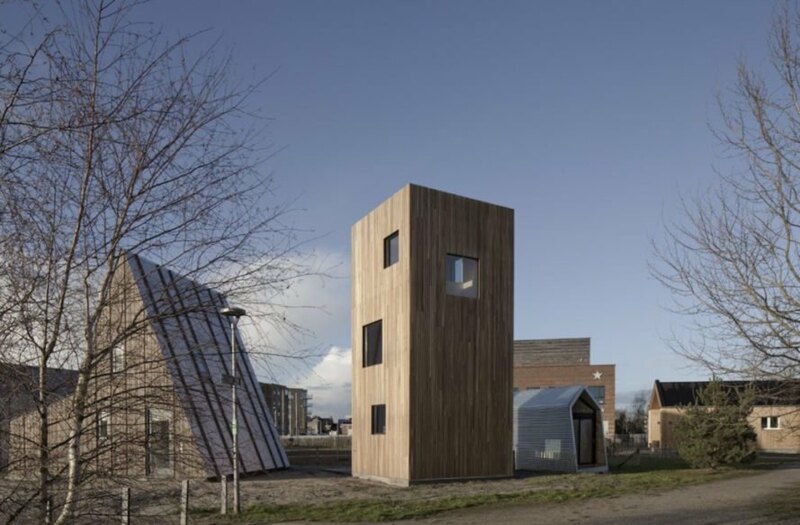 Dutch practice Ana Rocha Architecture designed the micro-home, named Slim Fit, in Almere Poort, the Netherlands. The home comprises 538 square feet of living space across three floors. Clad in vertically oriented Ayous hardwood that appear to emphasize height, the 172-square-foot Slim Fit avoids a monolithic appearance thanks to the heat-resistant glass windows of varying sizes punctuating the facade. The windows also allow for cross-breezes and fill the interior with natural light. Tall ceilings, birch plywood paneling, and a minimalist design add to the illusion of spaciousness. The three-story skinny home includes a kitchen and dining area on the first floor, while the living room is placed on the second level. The bedroom with a bathroom and wardrobe is located on the top-most level. Custom space-saving furniture and elements constructed from birch offer subtle but effective ways for creating a bright and airy appearance, from sliding doors to an open-tread staircase that connects to open shelving. 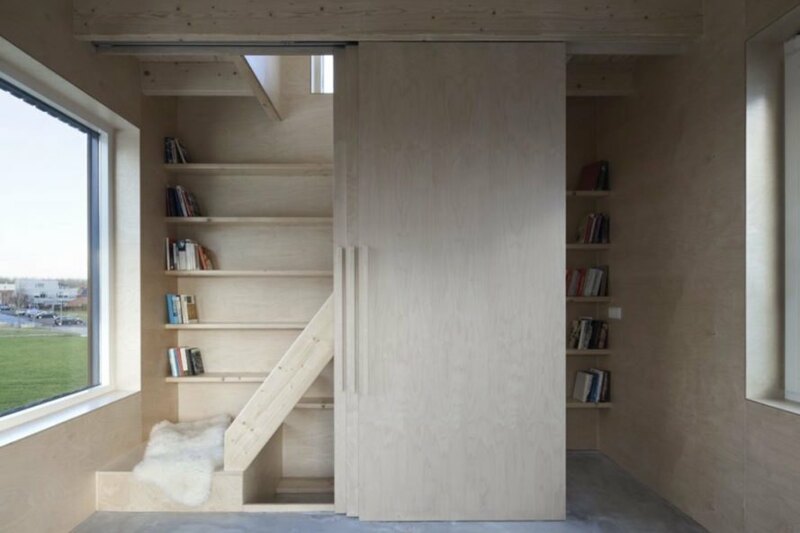 Space-saving furniture and ample glazing are key in making this skinny timber house welcoming and livable despite its tiny footprint slightly larger than the average parking space. 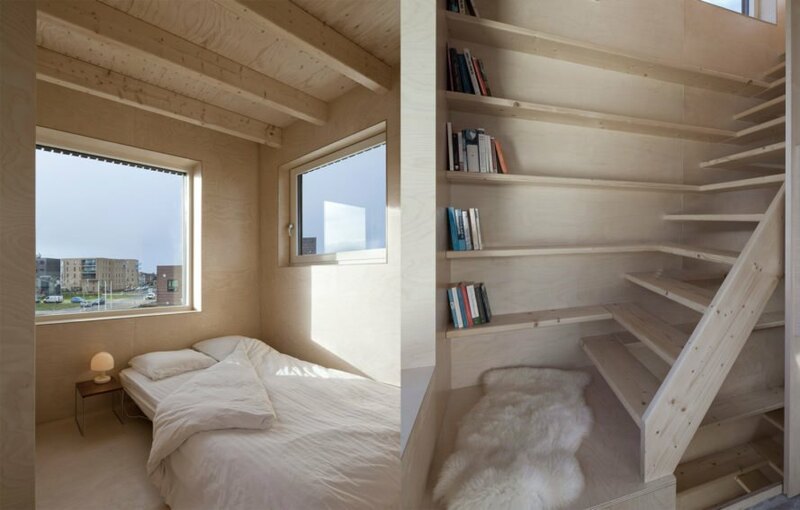 Dutch practice Ana Rocha Architecture designed the micro-home, named Slim Fit, in Almere Poort, the Netherlands. The home comprises 538 square feet of living space across three floors. Clad in vertically oriented Ayous hardwood that appear to emphasize height, the 172-square-foot Slim Fit avoids a monolithic appearance thanks to the heat-resistant glass windows of varying sizes punctuating the facade. 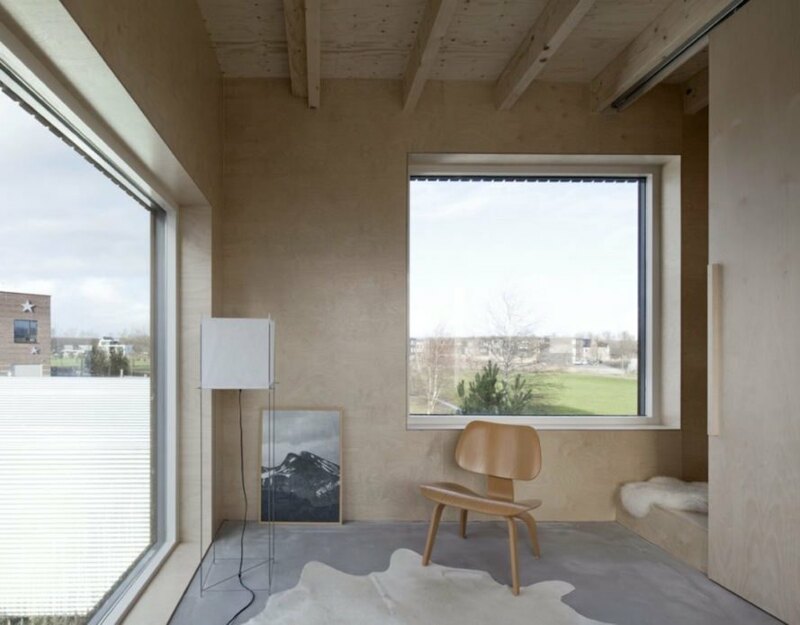 The windows also allow for cross-breezes and fill the interior with natural light. 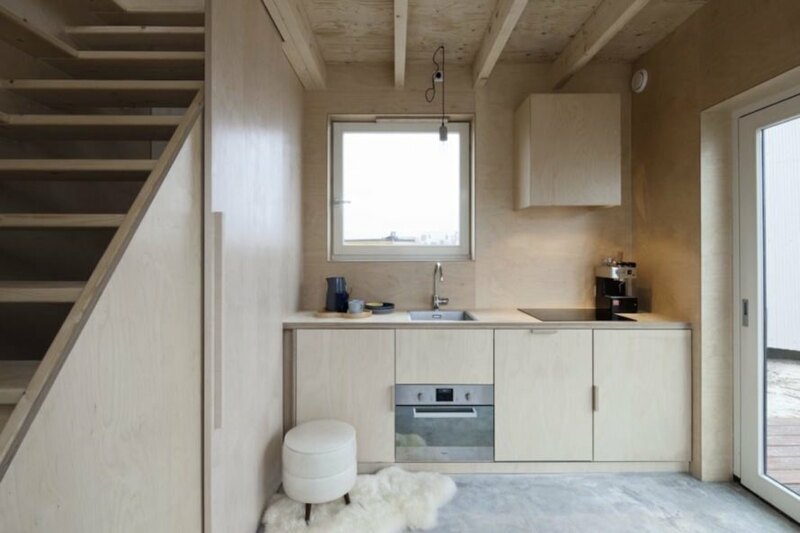 Tall ceilings, birch plywood paneling, and a minimalist design add to the illusion of spaciousness. The three-story home includes a kitchen and dining area on the first floor, while the living room is placed on the second level. Custom space-saving furniture and elements constructed from birch offer subtle but effective ways for creating a bright and airy appearance, from sliding panel doors to an open-tread staircase that connects to open shelving.